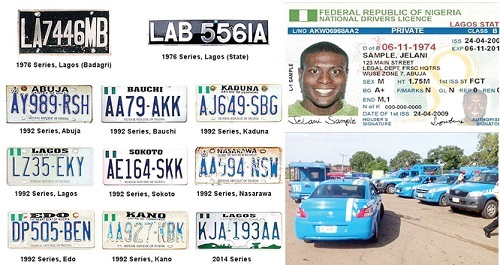 The Ondo State Police Command on Thursday paraded a 43-year-old man, Francis Oladapo, who was arrested for allegedly issuing fake number plates to some motorists and motorcyclists in the state. The command’s spokesman, Mr Femi Joseph, said that the suspect collected over N4,000 from each of his victims while carrying out his illegal activities. Joseph said that detectives from the command swung into action by arresting Oladapo after they had received information regarding his illegal act from the members of the public. “It was unfortunate that on sighting the police, the suspect’s accomplices escaped arrest. “This illegal act no doubt must have depleted the revenues that should have accrued to the state government revenues,’’ the spokesman said. Joseph, however, advised the members of public to only register their motors and motorcycles at the State Board of Internal Revenue or at the office of Federal Road Safety Corps (FRSC). NAAN reports that the suspect told newsmen that he was introduced to the illegal business two years ago by a gang member now at large. He said that he was not aware that his accomplices were engaged in criminality.